Niagara has been in bloom for about 2 weeks. It seems shorter, and it is coming to an end. Most orchards are close to the Lake (on both sides of the QEW) and below the escarpment. 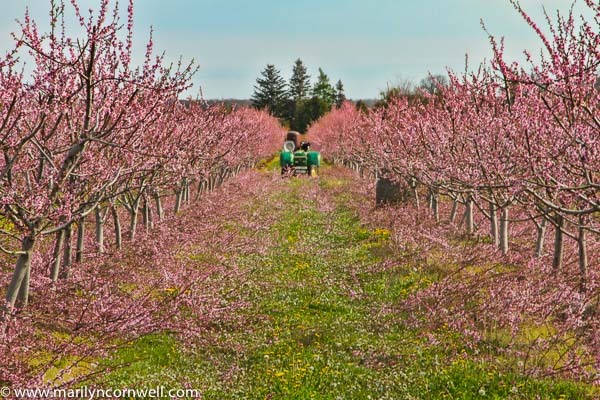 There are orchards from Grimsby right through to Niagara-on-the-Lake. These two orchards are in Vineland. There are a lot of good orchards there - along John Street and Green Lane. These are rural roads, and I am able to stop the car and take pictures from the car if I want. This is drive-by photography at its best. I was lucky to catch some peach trees with their trimmed branches on the ground before they withered. 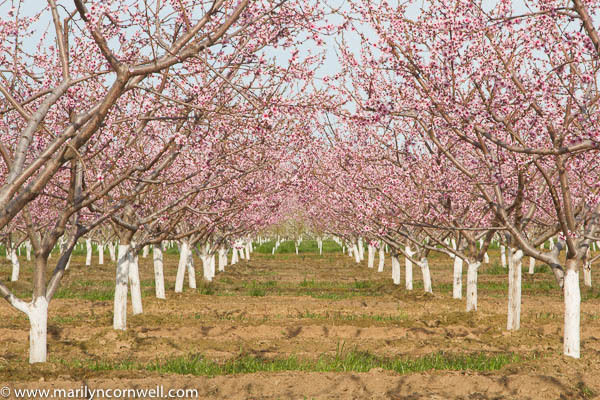 The peach trees are trimmed just at blooming, so the carpet of pink on the ground is a gorgeous display.